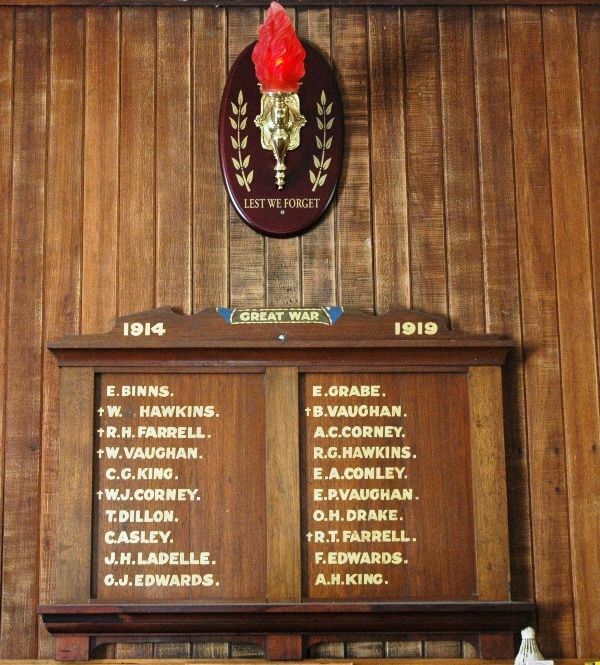 A wooden honour roll commemorates those who served in World War One. 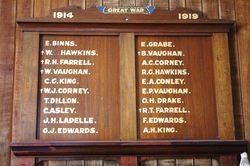 The board is polished blackwood with scroll work and lists 20 names. 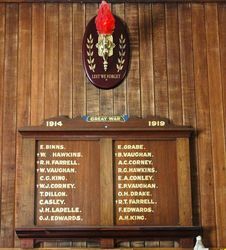 The Honour Roll was unveiled by the Governor of Tasmania, Sir Francis Newdegate at the Lunawanna State School on the 27th November 1919 on his first official visit to Bruny Island.